If you live in Birmingham and you didn’t hear about Birmingham Pride 2015 then I have no idea how – you must have been hibernating or something haha! 🙂 I am so PROUD of everyone who celebrated and campaigned for LGBT rights this weekend! Unfortunately I was unable to get down and join in with all the festivities – but I could at one point see some of the celebrations from my flat (which made me very jealous!) 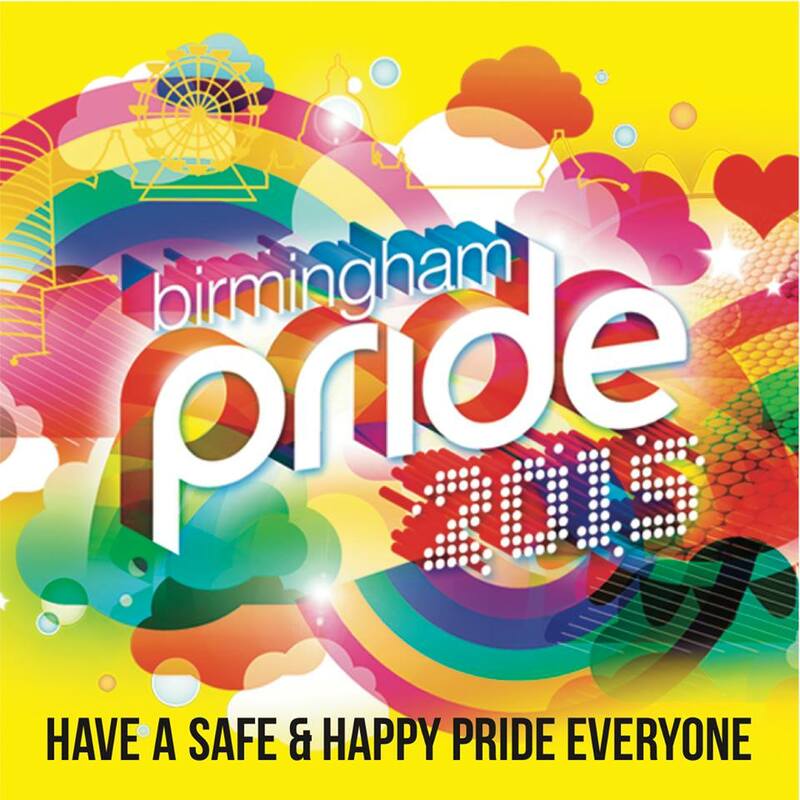 But that’s not the point… the point is, Birmingham Pride 2015 was ace! I’ve spent the last hour or so watching videos, looking at photos and reading peoples blogs etc. about the festival. Also one of my pals absolutely rocked it doing a four hour DJ set at the festival! (Whilst nursing the worlds craziest hangover haha). As I wasn’t there I can’t really say how amazing the festival was – I can only tell ya about how happy the videos/photos make me! I’m not gunna share photos as they don’t belong to me… instead I’m gunna send you over to Birmingham Pride’s Facebook page… where there’s videos, photos and so much more! Congratulations on the ace weekend, and for a successful Pride! LGBT / Equality for all!! Next Coffee and Mental Health: yay or nay?